NEW YORK (Scrap Register): United States silver scrap prices fell on Friday, while silver futures prices at New York Mercantile Exchange dropped as strength in the U.S. dollar and growing expectations that the Federal Reserve will announce an interest-rate increase at its meeting in December pulled prices down. 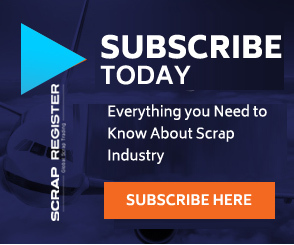 The major silver scrap commodities on the Scrap Register Price Index traded lower on Friday. The hallmarked silver scrap prices down by 3.2% to $13.592 an ounce and non-hallmarked silver scrap prices declined to $12.065 an ounce. The most active December silver contract on the COMEX division of the New York Mercantile Exchange down by 14.8 cents to end at $16.624 an ounce on Friday, for a weekly loss of about 4.4 percent. Federal Reserve Chairwoman Janet Yellen said a U.S. interest-rate hike could come relatively soon. Her prepared comments to lawmakers came on the heels of strong economic data, which further backs the likelihood of a rate increase. The central bank chief did little to dispel expectations that an interest-rate hike could come as early as December.